Researchers at Southfield’s Ascension Providence Hospital have developed a 3-D mapping technique that allows heart devices to be implanted without exposing patients and health care workers to radiation. The heart care team, led by Dr. Christian Machado, director of electrophysiology at Ascension Providence, implanted pacemakers or cardiac defibrillators in 21 patients using the guidance of a 3-D navigational system. The preliminary results of the study show that using the mapping technique employed in the study was safe and resulted in positive outcomes for patients. The system collects electrical data from the heart and translates it into highly detailed, 3-D models and maps of the structures in the heart, allowing doctors to effectively diagnose and treat patients without the need for X-rays, which contain radiation. Conventional procedures use fluoroscopy, or a type of imaging that involves injecting patients with a contrast dye. An external X-ray beam is passed through the body, and the images are transmitted to a monitor to provide doctors with a continuous X-ray image during the procedure. The radiation dose the patient receives varies depending on the individual procedure and can result in relatively high radiation doses, especially for complex interventional procedures. 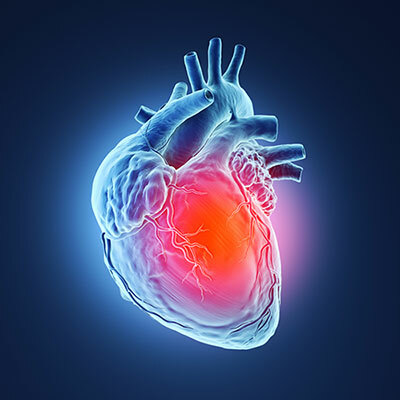 The preliminary study result will be presented at the annual Michigan Chapter of the American College of Cardiology Conference, scheduled for Oct. 26-27 at the Detroit Marriott at the Renaissance Center. Ascension operates 15 hospitals and hundreds of related health care facilities that together employ about 26,000 associates. It has served Michigan for more than 140 years and is the largest nonprofit health system in the U.S. and the world’s largest Catholic health system.